The Youth Center offers party packages starting at just $199. Choose from Basic Party, Sweet 16, Prom/Graduation party, Sports Banquets, Character party, Laser Tag party. Some parties include D.J., pizza, drinks, party assistance and more. 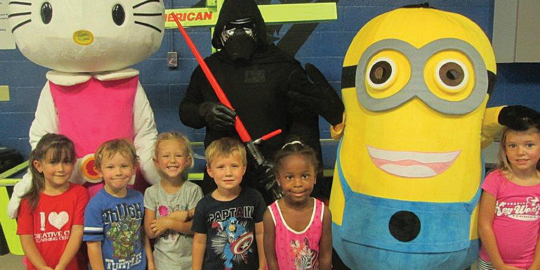 Call today and ask about our Character parties.